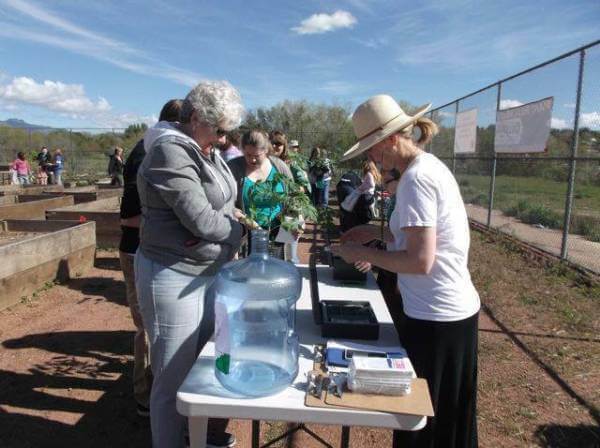 The annual open house and spring plant sale at Galileo School of Math and Science, 1600 N. Union, promises to be bigger and better than ever, according to Master Gardener Scott Wilson, who oversees the garden. Visitors will have the chance to see test beds containing Callicrate Cattle Company bio-char and bone-char products. In addition, Ranch Foods Direct representatives will be on site that day to provide more information about these all-natural soil amendments. This will mark the second annual plant sale to be held at the garden, which is utilized as part of the school’s instructional curriculum. All proceeds will go to benefit the Galileo Garden Project.